Simple file management tool with powerful search and smart filtering functions. It's totally free. Learn how to use File Manager Tool on the docs page. 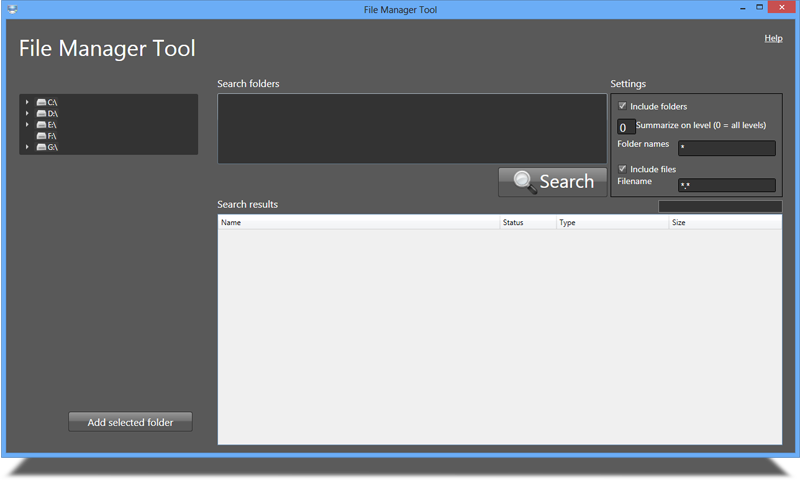 Do you have any trouble using File Manager Tool or did you find a bug? Let us know, we want to bring you the best user experince.